Founded by health nut babe—Aussie health coach Laura Hopkins is on a mission make clean, plant-based eating more fun and delicious. Having struggled with health issues brought on by store-bought milk substitute fillers and additives, Laura used her plant-based wizardry to found Tulo House, and create a healthier, planet-friendly plant-based alternative. 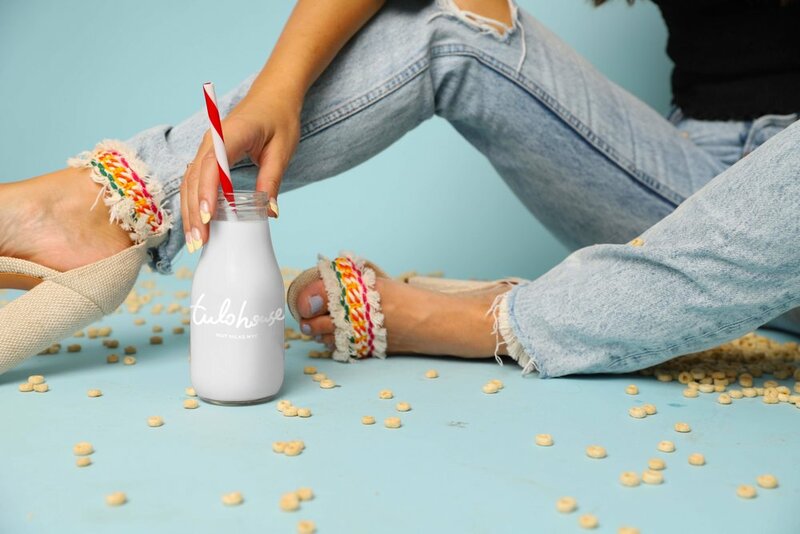 Unlike most store-bought nut milks, which are typically over-processed with fillers and preservatives that can trigger gut issues—Tulo House's organic plant-based milks will be blended daily in house to deliver clean nutrients without the preservatives. Tulo House will also offer a variety of vegetarian, vegan, gluten free, and paleo-friendly organic bites with a fashion kick that make plant-based eating a much easier (and more delicious) nut to crack. Get Notified of our opening day! Sign up with your email address to receive news and updates about the tulo house launch.